Some paths to rowing are longer than others. But, for hundreds of athletes in New York City, the path has been shortened as much as possible by the efforts of Row New York. Founded in 2002 with eight eager rowers and one boat, Row New York now serves over 2200 athletes and drives toward its mission everyday: “Through the discipline of rowing and rigorous academic support, Row New York transforms the lives of New Yorkers, regardless of background or ability.” Indeed, from their youth rowing programs in three boathouses throughout the city (Brooklyn, Queens, and Manhattan) that bring together “competitive rowing and rigorous academics,” to the adaptive programming they offer, to the Masters programs that allow hundreds of adult rowers access to rowing in the city, Row New York is fulfilling its mission. Row New York is funded by many sources: grants, individual contributions, corporate support, and fees from Masters programming. The organization specifically seeks to overcome the opportunity gap, the unequal distribution of resources that impact many children in the city. They do so by providing their youth and adaptive programming at no cost to the participants and funding it through significant fundraising and development efforts. Additionally, a portion of their youth and adaptive programming is funded by the revenue from programs such as the Scholastic Rowing League and Corporate Team Building programs. The coxswains at Row New York learn to navigate the Harlem River, giving them good practice for racing in water conditions that are challenging (the cement walls of the river reverberate the wakes made by passing boats back onto the shells). When the path to rowing leads to college, it's a path many people want to be on. Row New York is making that path available, everyday, to young New Yorkers who are willing to work hard, on and off the water. 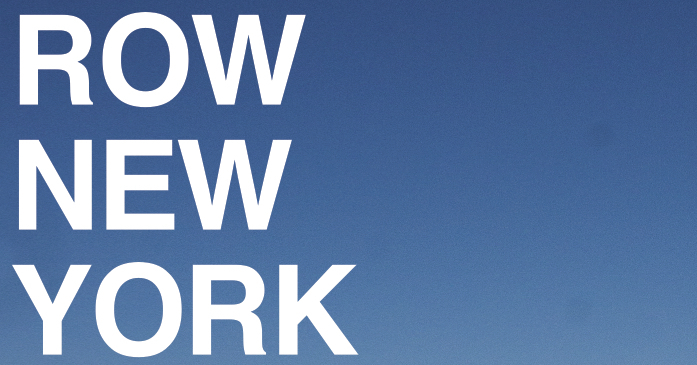 Complete information about Row New York can be found on their website at rownewyork.org. "This is practice for college.